Bed Bug Control is used on luggage before traveling to prevent unwanted bed bugs from hitching a ride home. 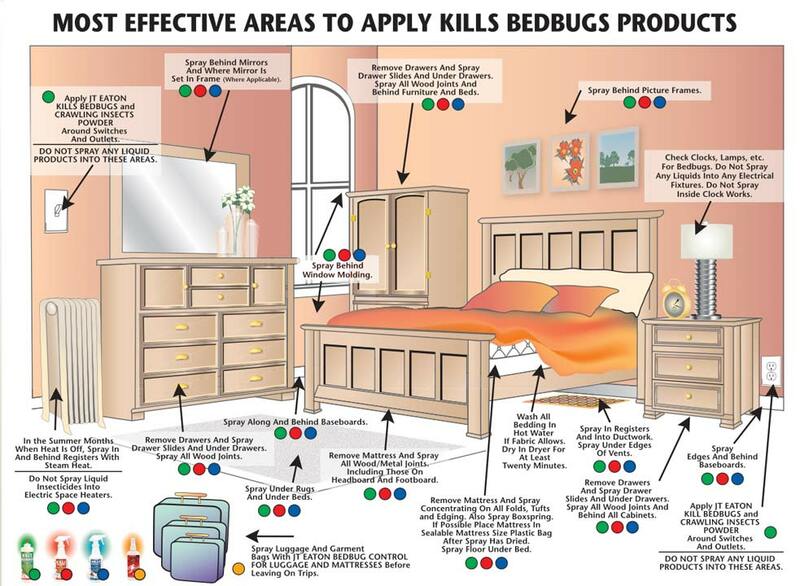 Bed Bug Control is a very handy item to have when traveling. The bottle has a high quality look and feel with an easy to apply sprayer. It's small size also makes it very portable. To use Bed Bug Control, lightly spray it on the outside of your luggage, especially along the zipper. Luggage often comes into close proximity with other luggage when on planes, buses, or cruise ships, which may be infested with bed bugs. 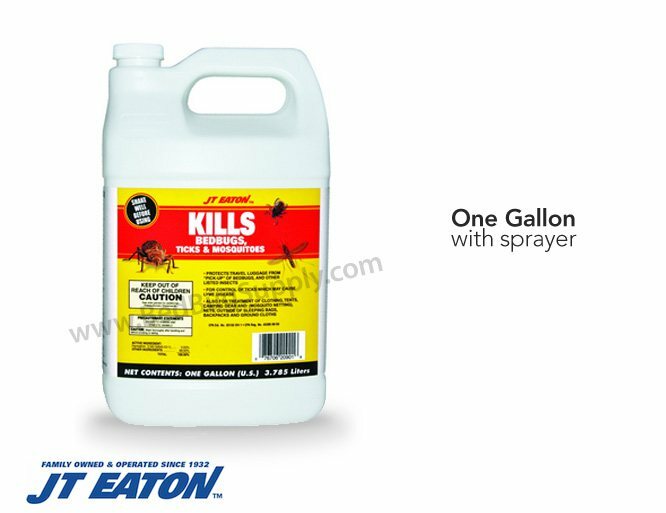 Water base 0.50% Permethrin with residual action Keeps Killing For 4 to 6 Weeks! 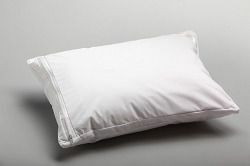 Bed Bug Control is a very handy item to have when traveling. The bottle has a high quality look and feel with an easy to apply sprayer. It's small size also makes it very portable. To use Bed Bug Control, lightly spray it on the outside of your luggage, especially along the zipper. Luggage often comes into close proximity with other luggage when on planes, buses, or cruise ships, which may be infested with bed bugs. By spraying your luggage, you'll have both a repellant and a bed bug killer all in one. Always read the instructions on the product's label to ensure proper and safe usage. Keep unwanted bed bugs from hitching a ride home with you by using Bed Bug Control. Active ingredient permethrin is used as a bed bug repellent and residual killer. Bed Bug Control can be applied on luggage along the zippers and inside pockets to keep bed bugs away and to kill bed bugs attempting to be a stowaway. Always read and adhere to the instructions on the product's label to ensure proper and safe usage. Until the application is fully dry, keep away from your animals and small children. 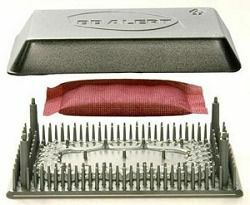 For peace of mind while traveling protect yourself with Bed Bug Control. 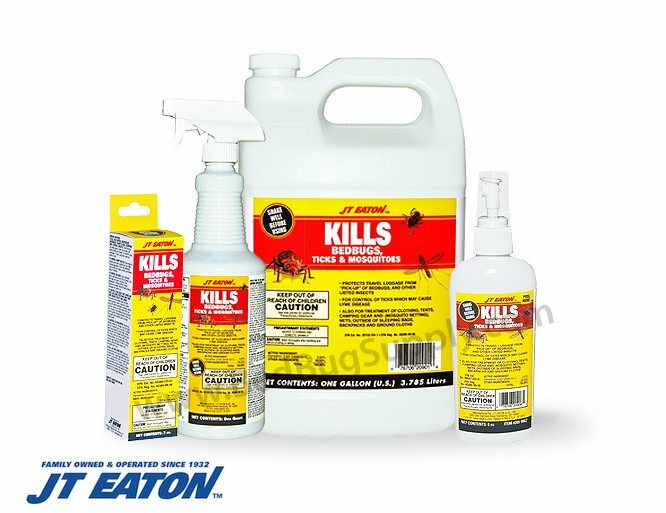 Founded in 1932 by Jasper T. Eaton, the company started as a mail order house for pest control products for professional use. Q: Is there an expiration date on the JT Eaton Luggage and Mattress spray? How long is it good for in the bottle? 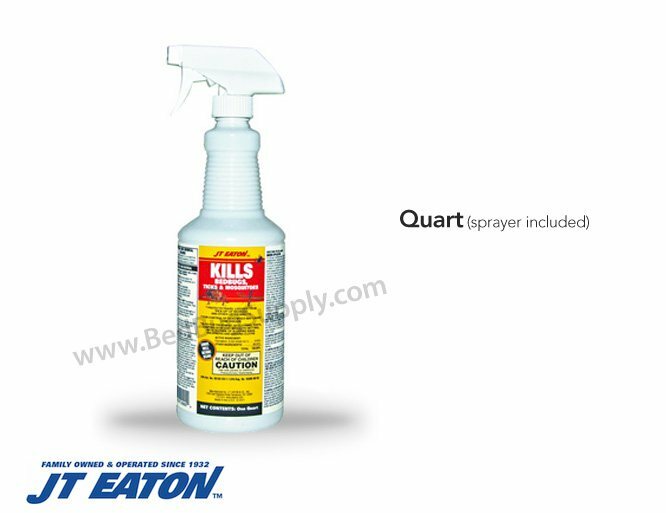 The shelf life of permethrin, the active ingredient in this spray, is up to 3 years. Make sure that it's stored in a cool, dry place away from direct sunlight. Q: After spraying the luggage, is your luggage safe/sanitary to put clean clothes in without harm to sensitive skin? Would the pockets where you sprayed need to have the clothes placed in a ziplock baggie to keep them clean? As long as you wait for the sprayed areas to fully dry before putting clothes or other items in your luggage, then you should be fine. Remember to always read and follow the product label and MSDS (available on this page as a PDF) for safe and effective usage. 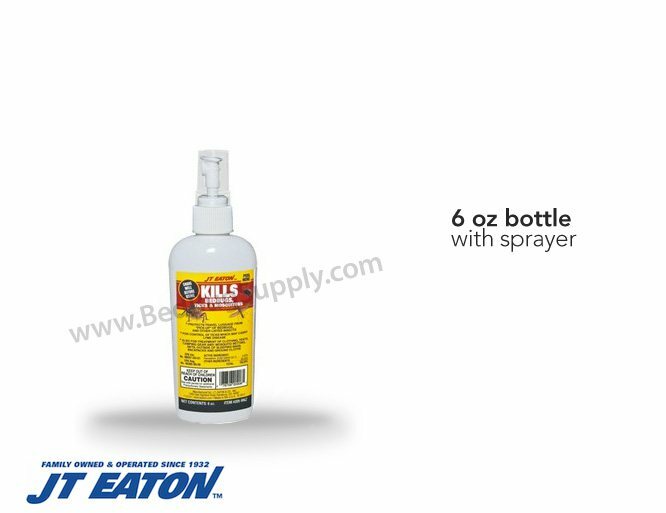 We consider this spray to be a contact spray, as it is most effective at killing bed bugs on your luggage on contact. However, it can continue to kill bed bugs for up to 4-6 weeks afterwards, so it may not be necessary to spray every three days. Q: hello, I see no ingredient on the website. What is in it? The active ingredient is permethrin, as indicated by the product label here. Q: What is the shelf life of product? Expiration date? These products do not list an expiration date, but the average shelf life for permethrin-based insecticides is two years. I was sent to another state for my job and had to stay in a hotel for two months. I used the spray in the room and on my luggage. I had no problems with bed bugs and felt more comfortable about staying in a hotel room for so long and not picking any up. Reviewed by: Michelle LaRoche from South Carolina. I really cannot rate a product that I have no idea if it really works or not. I spray my luggage before our trip & again after our trip just before we check our luggage in for our flight. I use it more for psychological relief feeling safe after I spray my luggage with it. Sorry I couldn't be of more help. Reviewed by: Ruth Phelps from Long Island City, NY. I got this item for our backpacks while travelling but didn't feel safe using it since any skin contact requires 20 minutes of washing if you come into contact with it. So I haven't used it! Reviewed by: P Freed- Thall from Vt.